How to eat for two – healthily! We know when you’re pregnant sometimes all you want to do is curl up on the sofa with a tub a of Ben & Jerrys’s ice cream. There needs to be some compensations for those swollen ankles, right? However, now more than ever it’s important to take care of yourself starting with your diet. Not only can some foods be downright dangerous in pregnancy but ensuring the right diet during pregnancy can determine the genetic composition of your baby and the coming generations. Nutrition determines how the baby will grow up and what kind of ailments they can have in future. No pressure then Mums and Dads! But before you panic, there are plenty of easy ways to eat healthily during pregnancy. Deval Shah, nutritionist and fertility advisor at Femiclinic explains more “The food you eat during pregnancy can have a significant impact on your unborn baby. Foods you eat before during and post pregnancy needs emphasis on quality and quantity, also a diet started 3 months prior to conception can benefit more than the one started after getting pregnant. It’s like programming your own genetics if you feed it with the right command it will respond. If you don’t it messes up and the system will shut down. There are also several benefits of a healthy diet for the unborn child such as a reduced risk of low birth weight, improved cognitive function, better immune system and gut function, reduced risk of neural tube defects or birth defects, decreased risk of autoimmune, diabetes, metabolic disorders and a reduced risk of miscarriage. So what foods are best for when you’re pregnant? This ensures a variety of nutrients distributed throughout the meals as the baby needs a boost of vitamins and minerals to maintain a steady growth. Drinking fluids mainly water is crucial to enhance absorption of nutrients and keep the weight in check for mums. Snacking smart is key during pregnancy. Things like Greek yogurt with granola and fresh fruit, energy balls, tofu grilled with sesame seeds are perfect healthy snacks and give a good protein boost which is essential during pregnancy. Under cooked or raw meats, unpasteurized milk and milk products, unwashed soiled vegetables and fruits can lead to contamination by Listeria bacteria. This is particularly dangerous in pregnancy as the bacteria has ability to cross the trans-placental barrier and can cause miscarriages, still births, infection to the mother and even in extreme cases death of the foetus. Alcohol can cause foetal alcohol syndrome leading to abnormalities in growth and development, poor brain development, behavioural problems. Mercury in fish can lead to neurotoxic effects on the foetus. Caffeine found in tea, colas, coffee and energy drinks decreases fertility and can produce nervous system disorders in your baby. Instead switch for decaf products and herbal teas. 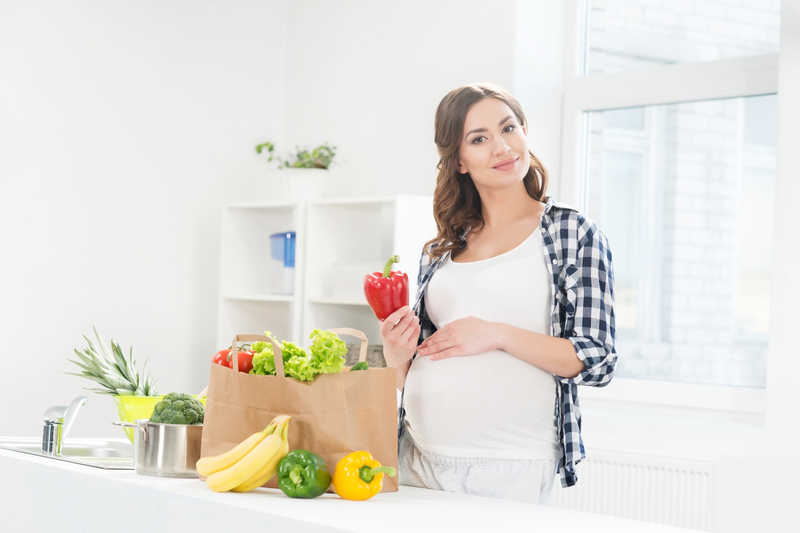 What are the best tips for a healthy diet when pregnant? Deval advises that a healthy balanced diet during pregnancy should include adequate nutrients like folic acid, iron, proteins, complex carbohydrates, prebiotic and probiotic as well as essential fats for the growth of the baby. She also advises clients not to try losing weight while pregnant it can leave you deficient in essential nutrients and directly impact the growth and development of the baby.